ICOSA is an artist-run non-profit cooperative gallery in Austin, Texas. ICOSA Collective presented a look at the many ways we, as humans, are haunted. In Residual, ICOSA Collective artists Katy Horan and Teruko Nimura interpreted the concept of hauntings, from unresolved personal and societal experiences that resonate in our present day to variations on the traditional ghosts and spirits found in superstition and folklore. Be it Katy’s sinister figures and Appalachian Haints or Teruko’s investigation of the fear induced “othering” seen in the Japanese American internment, these artists engage the specter of death, grieving, and threat from various points of view. This two person exhibition included an array of drawing, painting, sculpture, and multi-media installation that invited the viewer to reflect on the echoes of the past that live among us still. Katy Horan is an artist and illustrator, whose folk art influenced work focuses on representations of women across history and folklore. She received a BFA in Illustration from The Rhode Island School of Design in 2003, and has since exhibited throughout the US and in Canada. Her work was twice published in New American Paintings as well as several art anthologies, including Beasts! (Fantagraphics) and Dark Inspiration (Victionary). She was selected for the 2011 Texas Biennial and was a finalist for the 2015 Hunting Art Prize. Most recently, she illustrated the book Literary Witches: A Celebration of Magical Women Writer, written by Taisia Kitaiskaia and published by Seal Press. She lives and works in Austin, Tx. Teruko Nimura is a multi-disciplinary artist with a diverse practice including installation, drawing, painting, sculpture, performance, participatory and public art. Her work investigates cultural heritage, identity, collective memory and interconnectedness. 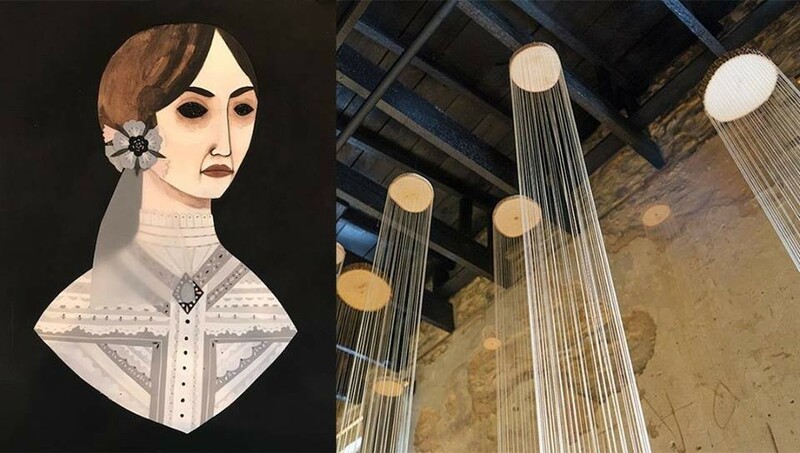 She has exhibited nationally and in Mexico, and was recently included in the 2017 TX Biennial. She received her BFA from San Francisco Art Institute and her MFA from UT Austin and is currently based in Austin, TX. This project was supported in part by the Cultural Arts Division of the City of Austin Economic Development Department.